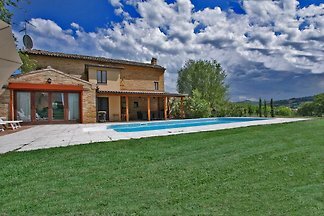 Farmhouse with private pool in Le Marche. The accommodation combines peace with simplicity and offers wi-fi, air conditioning, equipped outdoor spaces, pet-friendly. 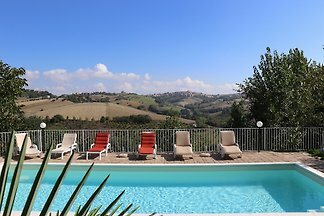 Casa Polly is a lovely holiday house with pool located in Pollenza, a town in Le Marche region. 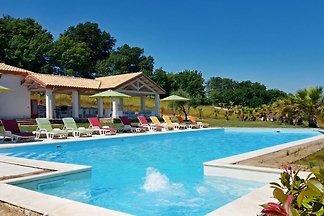 Villa with Private Pool 7mt x 18mt with Jacuzzi, 5 bedrooms, for 18 people, Wi-Fi internet in and out of the Villa, Close to the Sea, panoramic and quiet location. 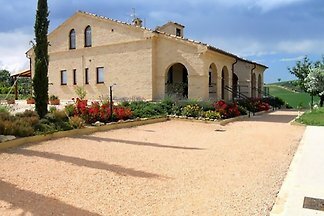 Casa Verde is a holiday house with pool in the countryside of San Ginesio, in Le Marche region. The Adriatic coast is at about 50 km, while the lake of Fiastra is at about 20 km. 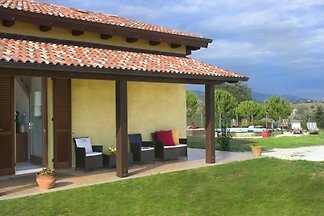 Spacious and modern villa with swimming pool near Mogliano, large fenced garden, porch, 6 bedrooms, fully equipped kitchen, WI-FI, sat TV, suitable for disabled. Amazing Holiday Villa with a big pool, decorated with a lot of taste with a mix of modern and classic style, private furnished garden, Wi-Fi, 6 bedrooms, fantastic views. Pretty small house, situated in a strategic position for visiting the Marches. from 5 2 holiday homes & accommodations in Macerata were rated with an average of 4.8 out of 5 stars ! Rent successfully your holiday flat or holiday home in Macerata in only 20 minutes !